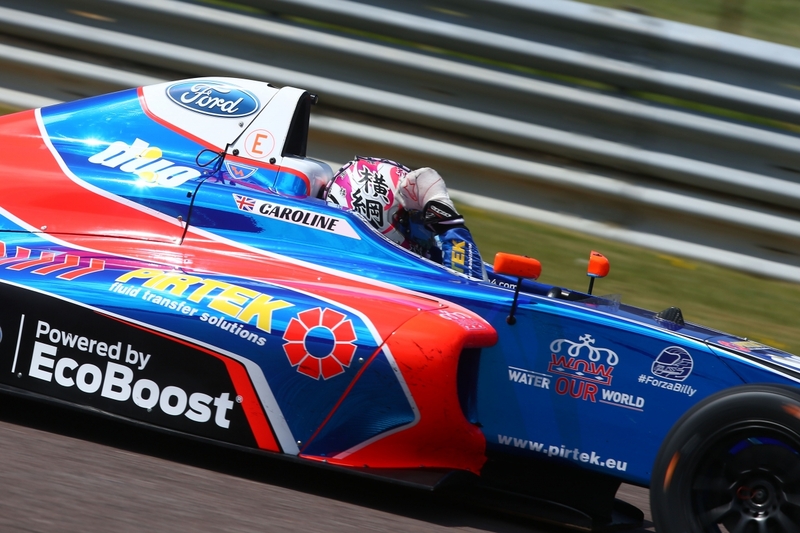 Jamie Caroline once again chose MDM Designs for the livery design of his Pirtek Racing backed British F4 car - this time for his second campaign and a championship challenge with Carlin Racing. 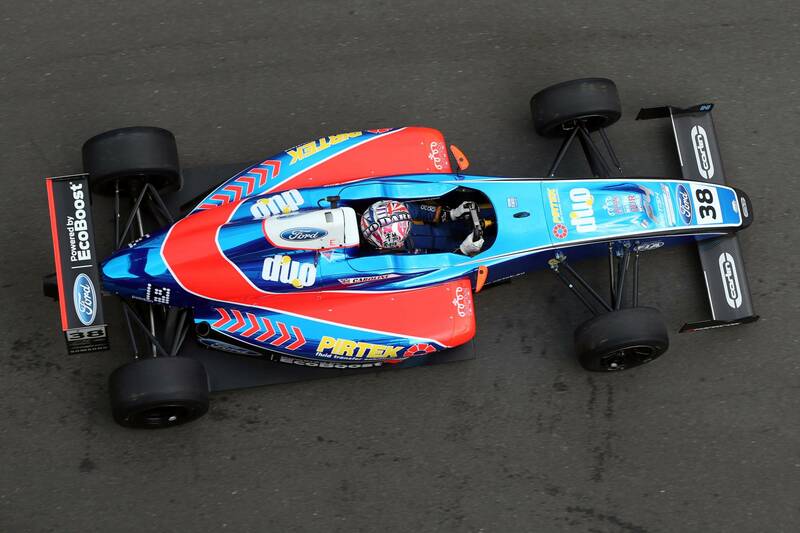 The design brief was to improve further on the 2016 Blue Chrome and Red Fluorescent Livery that we designed for Caroline, whilst allowing room for the Pirtek and Duo Sponsorship, as well as further space for potential sponsors. After trialing a number of designs, ranging from completely new geometric layouts, to subtle evolution from last seasons design - Caroline and Pirtek decided on a striking livery, which featured more red in the design alongside the inclusion of white to help lift the design to be even brighter for the new season. Alongside the additional colour around the sidepod, engine cover and air intakes, the design was taken further by adding black around the mandatory Ford EcoBoost logos on the sidepods, teamed with red accents to blend the large Ford logo areas into the whole livery itself. This design change made the logos look a part of the design, rather than an after thought placement which improved the overall look of the design. 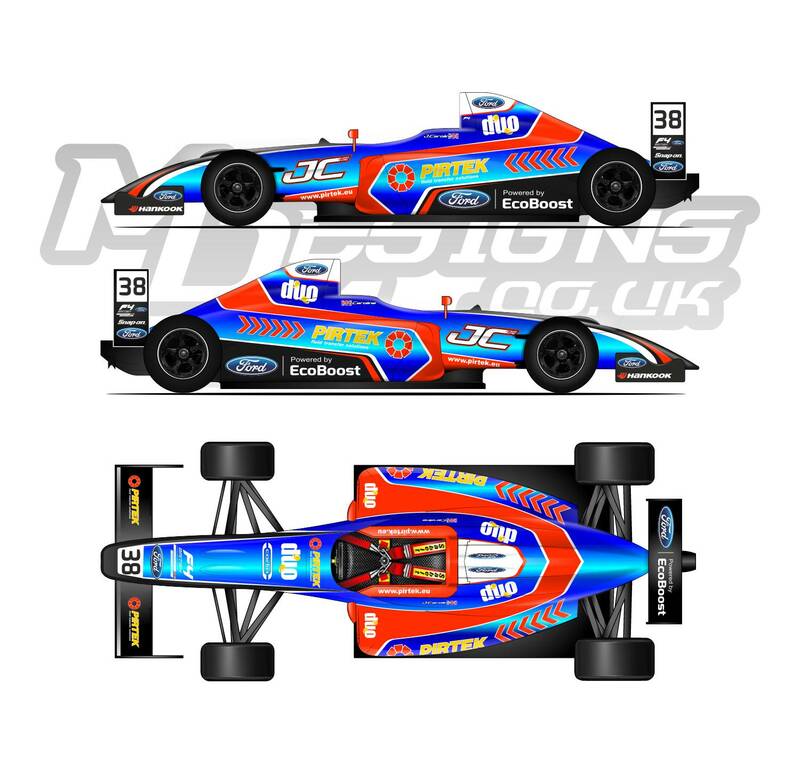 The feedback on the design has been hugely positive, often with the responce that it is regarded as one of the brightest and best liveries in single seater racing - which stands out brilliantly on track and live on ITV4 as a feeder series tot he British Touring Car Championship. The overall look of the design led to compliments from Carlin Team Owner - Trevor Carlin. 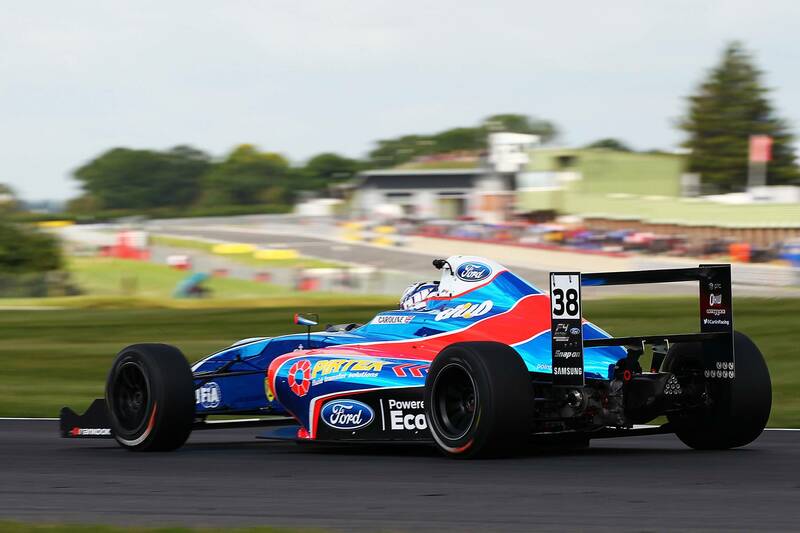 This has developed into projects in revamping the Carlin Racing liveries in F4, F3, EuroFormula and Indy Lights for the 2018 Season. Watch this space for further developments. 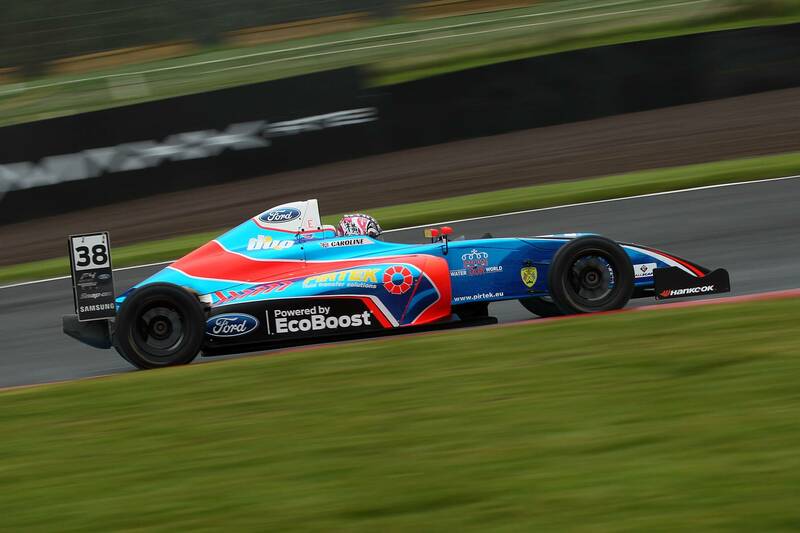 Caroline has used this livery to power himself to become a record breaker in the British F4 Championship - taking 10 victories so far in the 2017 Season and vaulting himself into the championship lead, with just two rounds of the championship to go.